Bruschetta, this is a Simple Traditional Italian Bruschetta, the perfect grilled side dish. Add a little garlic, salt and olive oil and nothing so simple tasted so good. 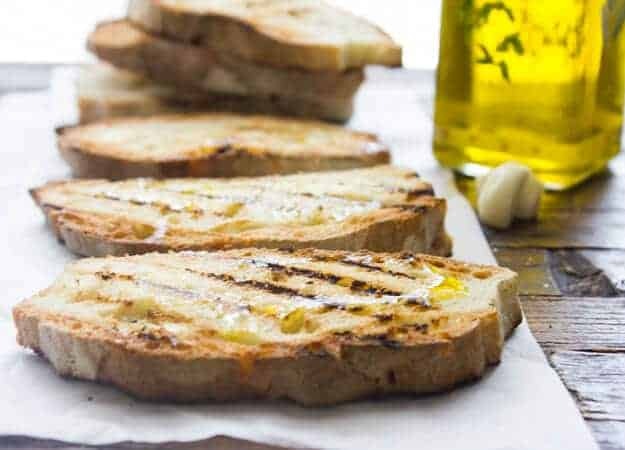 One of the best dishes in Italian cooking (in my opinion) are the Appetizers/Antipasti and with the Appetizers come fresh Italian bread or Bruschetta. This is another Poor Man’s dish that was invented in Naples and then spread through Italy and of course the world. 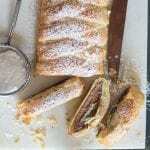 For Italians it is very simple and easily made and is always made when barbecuing. You can always hear someone shouting “don’t forget the Bruschetta”, and that someone is usually me! 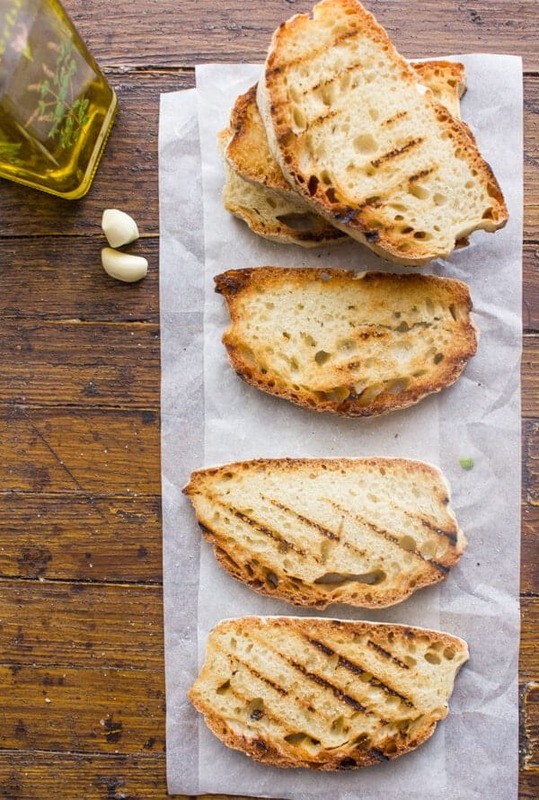 Old bread never gets thrown out, just make Bruschetta. Even using a small pan grill. After you have finished grilling your meat, fish and or veggies the last to be grilled is the bread. You are going to want to eat it nice and warm with your meal. In fact I used my pan grill today to make this delicious dish. 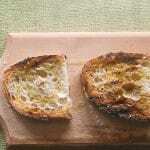 I toasted slices of crusty Italian bread (day old is even better). 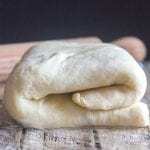 Of course Italians will argue on the best possible bread for grilling. They tend to think a closed crust is better than a holey crust. Personally I will take it with either bread. 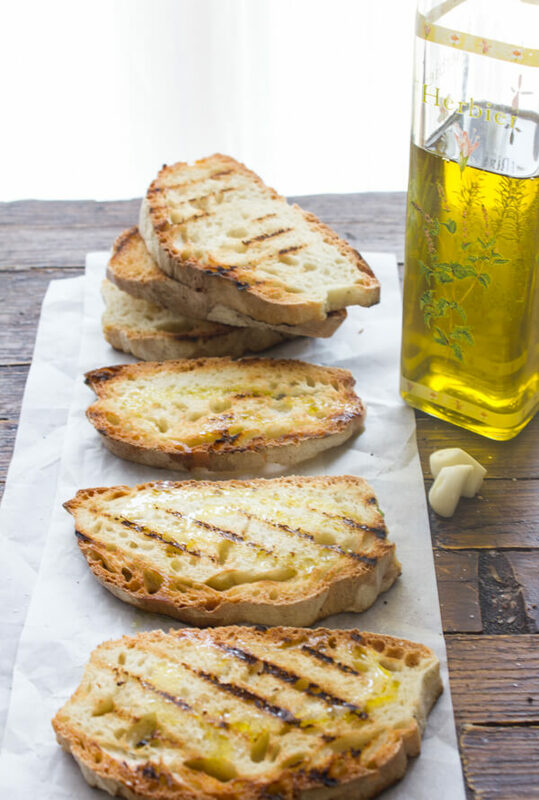 Immediately after the bread is toasted to perfection, sprinkle with a little salt and drizzle with olive oil. Many people, me included love to rub a little or a lot of garlic on the toasted bread before the salt and oil is added. Of course you can top your Bruschetta with a Chopped Tomato mixture, or Grilled Eggplant, Zucchini or even Peppers and it becomes the perfect Appetizer. So whenever you have your next barbecue don’t forget to throw some Italian bread on the grill and a add a little Italian to your dinner. Buon Appetito! 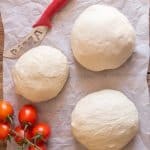 Simple Traditional Italian Bruschetta, simple easy classic Italian bread recipe, a delicious appetizer, a must make with your next barbecue. Heat pan grill to hot and keep temperature relatively high, place sliced bread and turn till toasted, remove and if desired rub with a clean glove of garlic, sprinkle with salt and drizzle with olive oil. 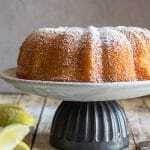 Serve immediately , eat with an appetizer or on it's own. Buon appetito!